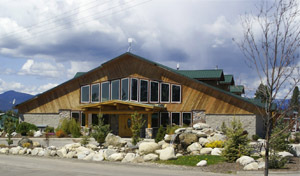 Skookum Rendezvous RV Resort, a Condominium is situated at the confluence of Skookum Creek and the Pend Oreille River, nestled in the forested mountains of northeastern Washington. After you've "put in" at our private launch, you'll enjoy 55 miles of smooth calm water boating while you delight in breathtaking views and abundant wildlife! Skookum Rendezvous is the place to be for the most fantastic fishing in the country!! Boundless activities and adventures are waiting right out your front door! Our beautiful resort offers stunning sights while you are taking scenic drives and picnics, hiking, mountain biking, bicycling, ATVing, bird watching, leisure walks and talks, and sunbathing. We know you will enjoy swimming, kayaking, canoeing, and endless water sports on the Pend Oreille River. Don't forget to bring your clubs and enjoy the local golf courses around the resort!